I invite you to join us in a high vibrational environment to activate your light codes and excel your Ascension Process. Within this space, we create a higher vibrational grid (everyone is blown away by the energy) which will open the space multidimensionally. 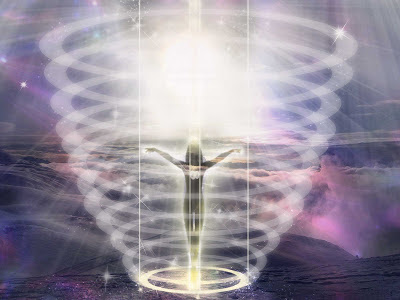 I have been studying and working on the Ascension process for many years and through many different means, including channeled work, I have discovered some Powerful Meditations and Activation’s to propel your Ascension process. There will be deep spiritual openings, connections, and healings that will affect your higher consciousness, physical, mental, and emotional bodies, your cellular structure, and your multidimensional self. Throughout this program, you will experience high-frequency transmissions and attunements both during class and in your daily meditations after class. We will be discussing, meditating and working on our Ascension Process. It’s hard to describe the transformation people experience and the depth of the information channeled! This is a Class One of a series and you may take the series in order or out of order. You may also take any class a second time at a discounted rate. Even when I am in the process of teaching, there are activations and transmissions. I am so amazed by the energy in these classes and the changes I’m seeing in the students which is why I’m sharing this with you! This is an All-Day class and there is very limited space in Severna Park. If you’d like to be placed on the waiting list for next time please email me.